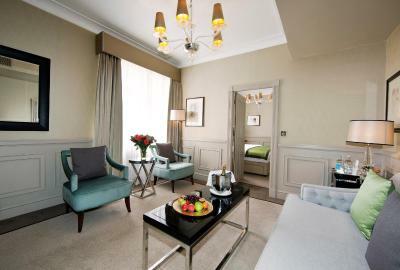 Lock in a great price for St James Hotel & Club Mayfair – rated 8.8 by recent guests! Staff and location and also cleanliness was great. Bad conditation was also good. 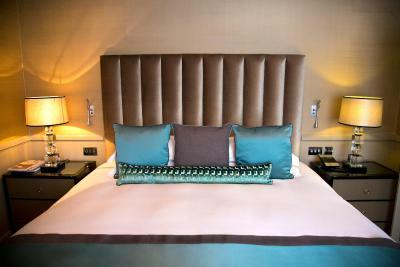 The staff was excellent...it was the best service that I have ever experienced at a hotel. I love staying at this Hotel! Next time I’m hoping my room will be larger! As per what I paid, i could have gotten a better choice. We were thrilled to be upgraded to a front facing suite for our 2nd visit to the St James in 3 years. Everything is first class, the atmosphere, decor, staff and food/drink. 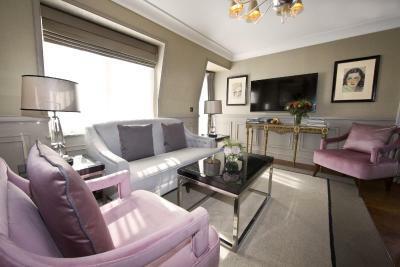 Location is perfect, near parks, shopping, Mayfair, with a back exit directly to the park and Buckingham Palace. 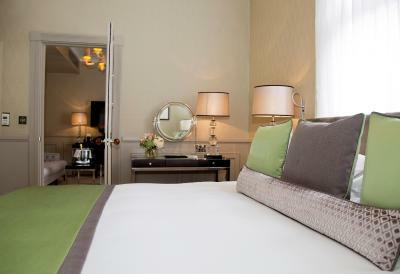 Great boutique luxury hotel in a perfect location for folks who like to walk a city. My kids are teenagers and were perfectly happy with this hotel, but little kids would likely not find much to their liking. No kiddie facilities or programs, in other words. I would recommend this hotel unreservedly to any business or leisure traveler looking for something small and a bit out of the way (it's tucked into a cul de sac) while still being near to all the good stuff. The bar area looked very classy, but was empty every time we walked past. 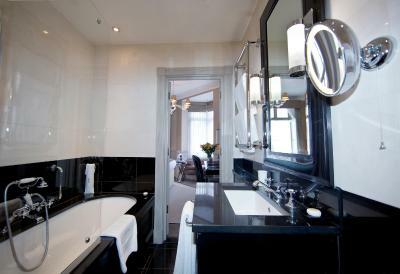 Service was fine - as to be expected in a hotel of this grade, quality and price. Location cannot be beaten. 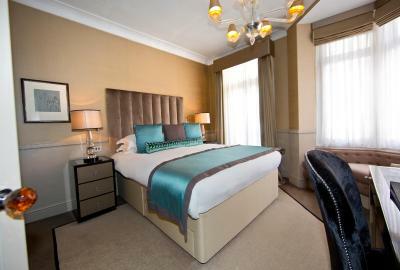 Lovely boutique hotel with easy walking distance to shops and Hyde park. Great room and service with a nice terrace outlook. Helpful staff. breakfast included would have been better, and couple of the hooks were actually not available. Baloney room and the roof top bar. Was told the roof top bar was private only and that the balcony rooms are only if available. The room was fine and we slept well. There was however a large machine outside of the bathroom that had a loud industrial sound 24 hours a day. Was good that the bathroom separated the noise from the sleeping area. The location is really good, and we did enjoy our stay. 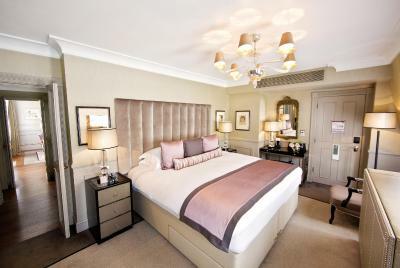 St James Hotel & Club Mayfair This rating is a reflection of how the property compares to the industry standard when it comes to price, facilities and services available. It's based on a self-evaluation by the property. Use this rating to help choose your stay! 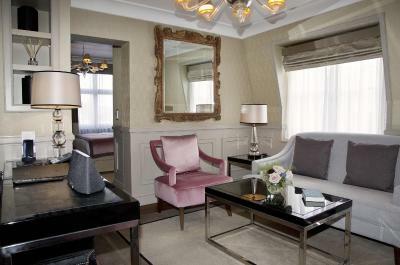 One of our top picks in London.With an exclusive club and a Michelin-starred restaurant, this stunning 5-star hotel is in the heart of elegant Mayfair. 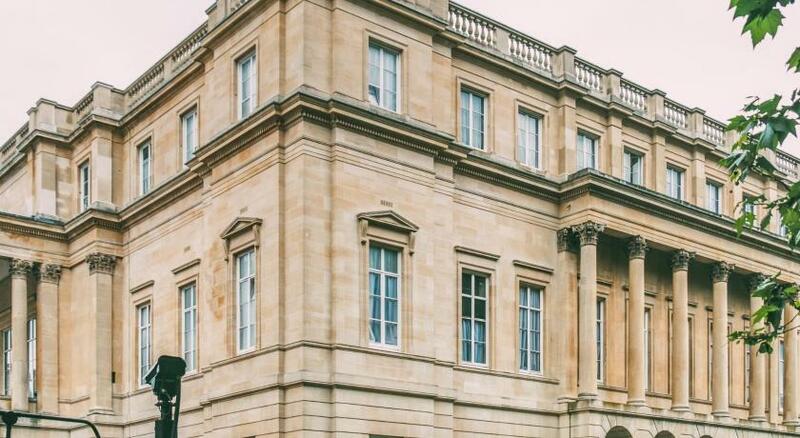 St James Hotel & Club is just a 10 minute walk from Buckingham Palace. 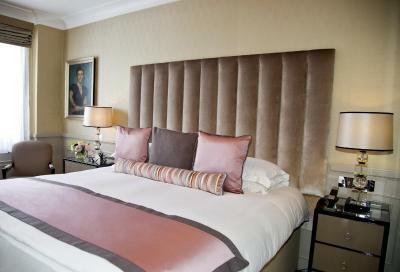 St. James Hotel is popular with celebrities and former guests include Cher, Elton John, Liza Minelli and Sean Connery. 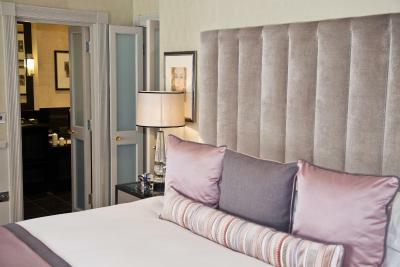 The hotel is in a grand period building, and has sumptuous decor throughout the hotel. 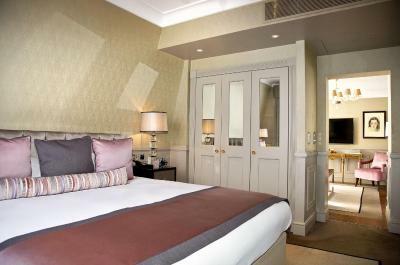 The boutique bedrooms feature handmade silk wallpaper and a luxury Hypnos bed. 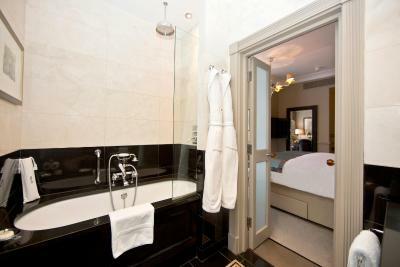 All rooms have a flat-screen TV, free Wi-Fi and an iPod dock, and the stylish bathroom has fluffy robes and toiletries. 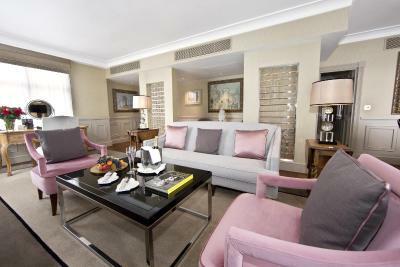 Guests can enjoy award-winning food in Seven Park Place, including modern British dishes and creative, seasonal specials. 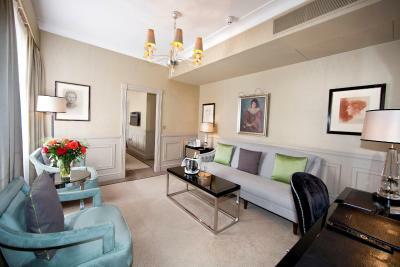 Indulgent afternoon teas and light bistro meals are also available. 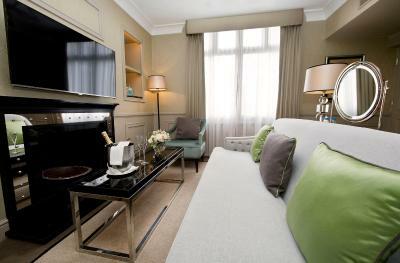 On a quiet street, St. James Hotel and Club is a 15 minute walk from the Houses of Parliament and Westminster Abbey. 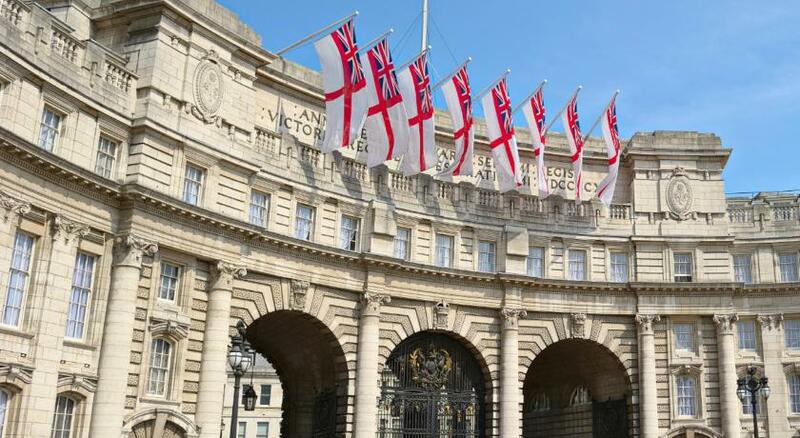 On-site parking is available, and Piccadilly Circus is less than half a mile away. 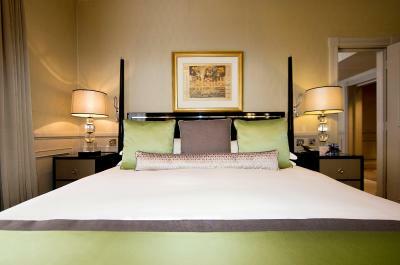 When would you like to stay at St James Hotel & Club Mayfair? 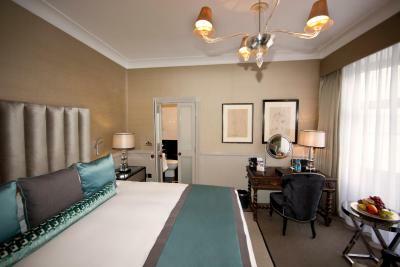 Stylish room with a Hypnos bed, handmade silk wallpaper and a luxurious glass and chrome bathroom. Also features an iPod dock, free Wi-Fi and a flat-screen TV. No extra beds available in this room types. 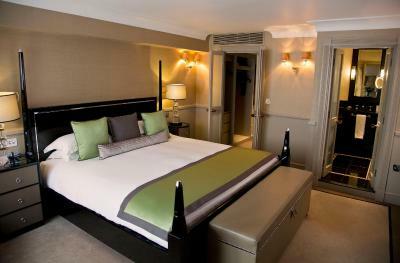 The maximum occupancy for this room is 2 and extra beds strictly cannot be accommodated. 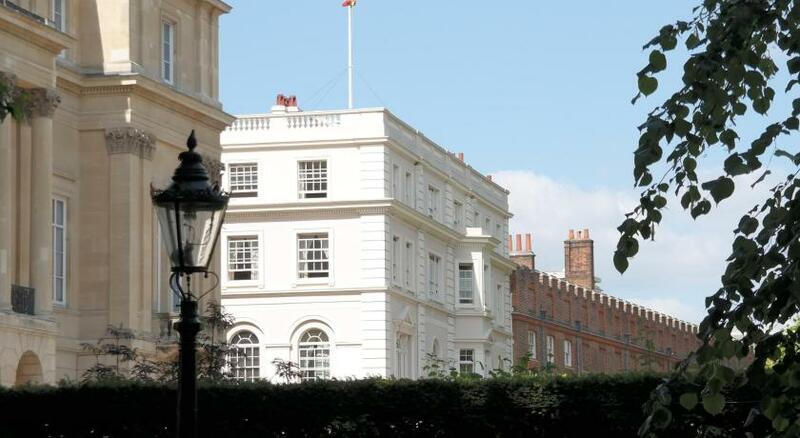 Private parking is available at a location nearby (reservation is not needed) and costs GBP 58 per day. 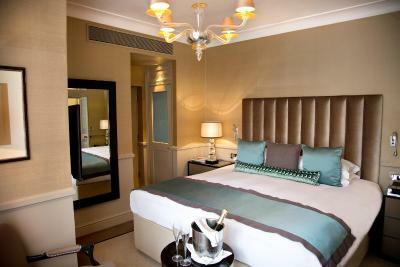 Stylish room with a Hypnos bed, handmade silk wallpaper and a luxurious glass and chrome bathroom. Features an iPod dock, free Wi-Fi and a flat-screen TV. 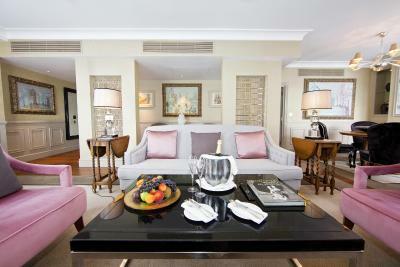 Some Deluxe Rooms also include a private balcony and hand-crafted furniture. 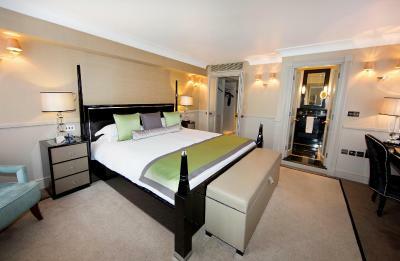 No extra beds available in this room types. 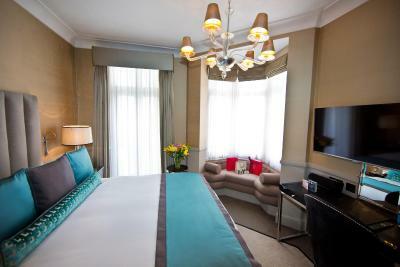 Large room with glass chandeliers, an iPod dock, free Wi-Fi and a flat-screen TV. 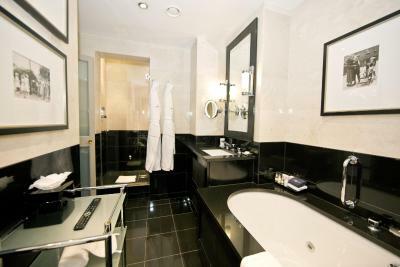 Some of the luxurious glass-and-chrome bathrooms have a spa bath with a built-in LCD TV, and some rooms have a balcony or four-poster bed. No extra beds available in this room types. 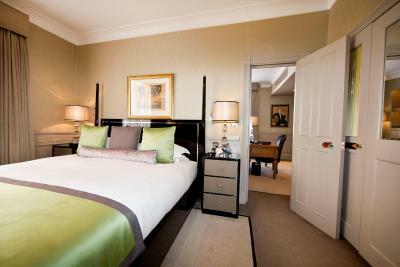 Large suite with a Hypnos bed, handmade silk wallpaper and a luxurious glass and chrome bathroom. 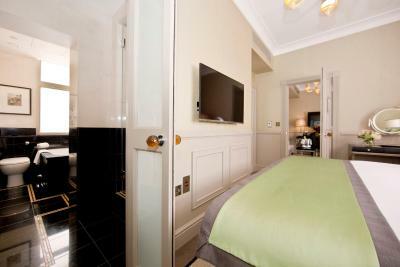 Also features a separate living area with an iPod dock, free Wi-Fi and a flat-screen TV. 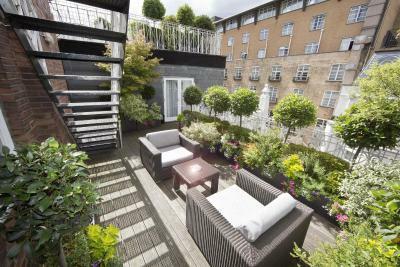 These suites offer period features with modern amenities, and have an average size of 40 square yards with separate living and sleeping areas. 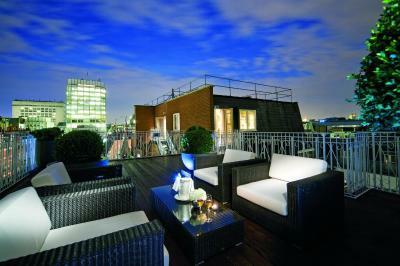 Located on the higher floors of the hotel, guests can enjoy city views of London. 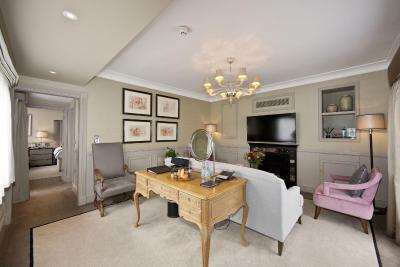 The suite contains a Hypnos king-size bed, a flat-screen televisions, Bose or Sony iPod and iPhone docking stations, and a work desk. 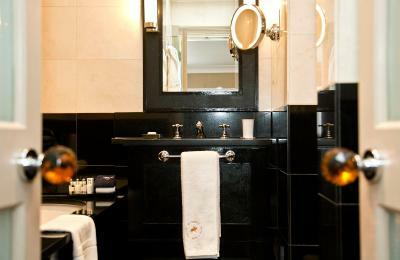 The bathrooms feature a bathtub with a bath-side television, a separate walk-in shower, Etro and Penhaligon’s toiletries. 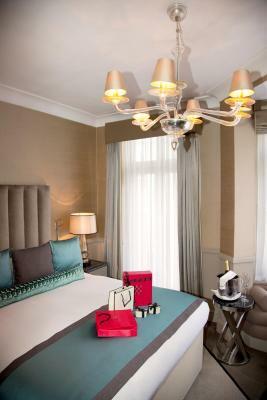 House Rules St James Hotel & Club Mayfair takes special requests – add in the next step! 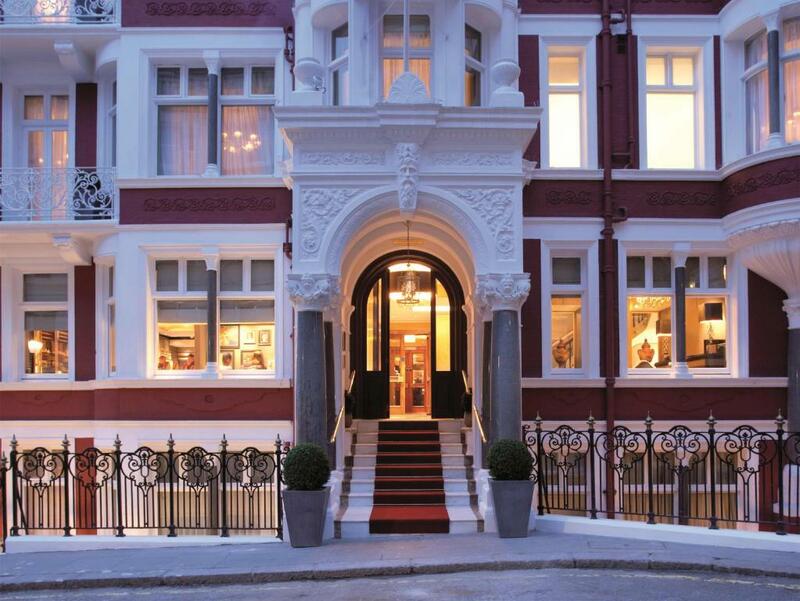 St James Hotel &amp; Club Mayfair accepts these cards and reserves the right to temporarily hold an amount prior to arrival. 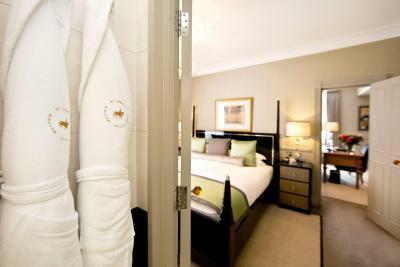 St James Hotel & Club Mayfair accepts these cards and reserves the right to temporarily hold an amount prior to arrival. 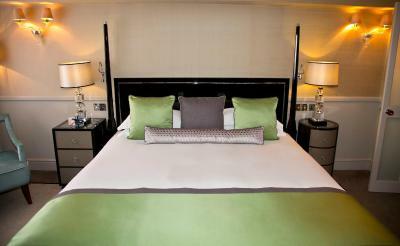 Please note that extra beds and cots are available only for the Junior Suite. Great location, excellent service. Very attentive staff. Heating system was lazy and out-of-date. Shower spells water out of bathtub. 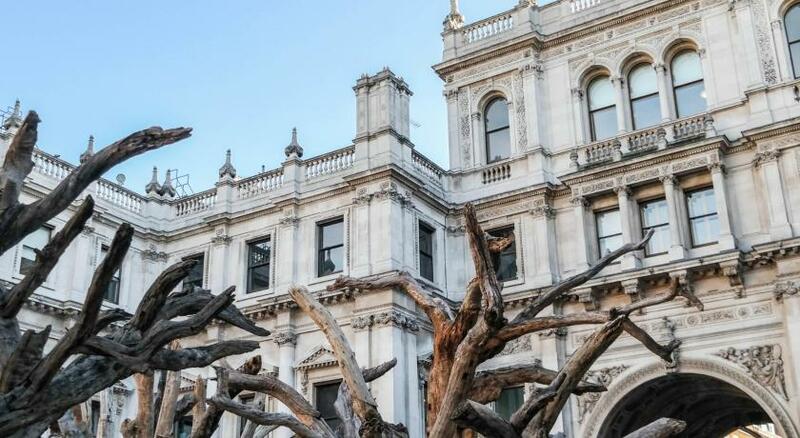 Secluded venue in Mayfair with touch of class you cannot find in bigger venues. 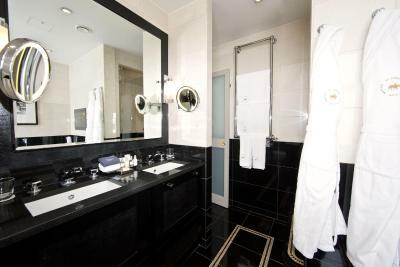 Executive room was substantially bigger than in others hotels. 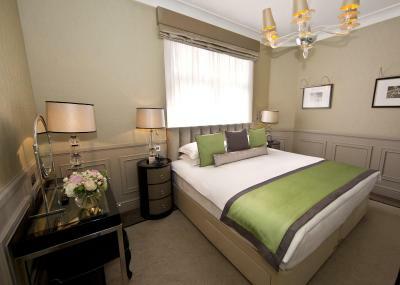 Almost brand new room, seems have gone through refurbishment recently. Courtesy of staff. Very very well trained staff. I'm going to nit-pick here and I really mean that... There was no milk in the room for the coffee. When we asked for milk for the coffee we were duly brought a jug of milk which was way more than we needed. I suspect some form of coffee purism is at play. Much more of a quirk than a dislike. 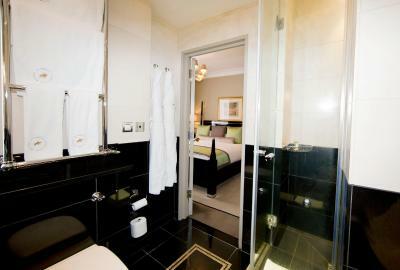 Outstanding stay, we arranged this with very short notice but the team at St. James couldn't have been more helpful. It was my wife's birthday and having mentioned this in my booking the porter made sure two wish her a happy birthday and when we arrived back to the hotel in the evening there was a gorgeous chocolate mousse cake waiting for us in the room. Just excellent service and a great location. The staff, location and room were all exceptional. 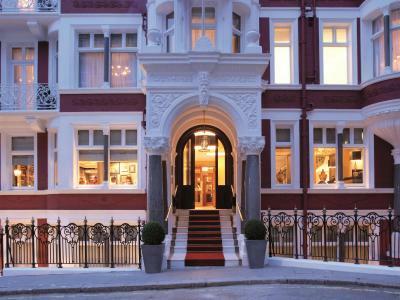 We've found a new go-to place to stay in central London. 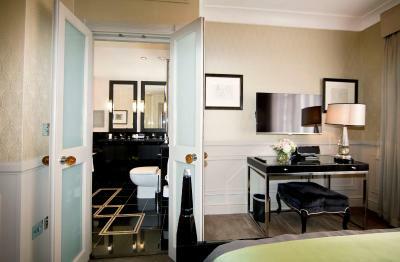 We now look forward to exploring the chain's other hotels in Europe! Beautiful hotel on quiet centreal street. Wonderful service. Great service. Relaxed friendly staff who were very helpful. Really enjoyed our stay. Very good service and quality of the food. Great location and period features. Great staff and very attentive. The doorman is a portuguese guy so nice that makes us feel welcome and is always smiling. This may seem like a small thing but on the contrary, it is not. Excellent location in the middle of everything yet quiet and relaxing. the food was also very good. Shower comfort was bad, after every shower, the bathroom was totally wet, because of the shower cover. And also wifi quality was bad.